After Kit gets kicked out of art school, she decides to enter the daily grind of adulthood. When she receives an invitation that promises to fulfill a childhood dream, she begins to rethink her direction in life. 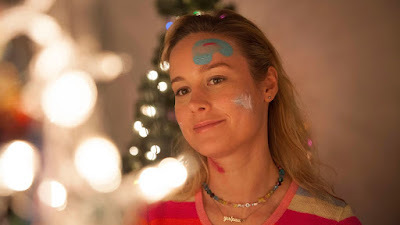 Oscar-winning actress Brie Larson tries her hand at directing, bringing writer Samantha McIntyre's magical "Unicorn Store" (2019) to life. Recently acquired by Netflix and turned into a Netflix original film, it tells the story of an aspiring artist named Kit (Brie Larson), who has recently been kicked out of art school because her professor didn't like her colorful, vibrant work. Discouraged by the whole experience, Kit decides to give up her dream and transition into the monotonous routine of the adult workforce by getting a job at a temp agency. She does her best to act the part of an adult by doing the 9-5 making copies all day until she receives an invitation to a mysterious store. Inside this store, The Salesman (Samuel L. Jackson) offers her something that would fulfill her childhood dream, which gives Kit a whole new perspective and forces her to rethink her direction in life. When you're a kid, you may think that one day, when you "become an adult," you'll suddenly "get it" and feel different and understand things you didn't quite comprehend before. The older you get, the more you start to realize that simply isn't true. There comes a time when we start playing the part of an "adult" as we mimic what we've seen other adults do in the past. We also may have to simultaneously suppress childish urges and activities until what and who we were pretending to be becomes who we are. 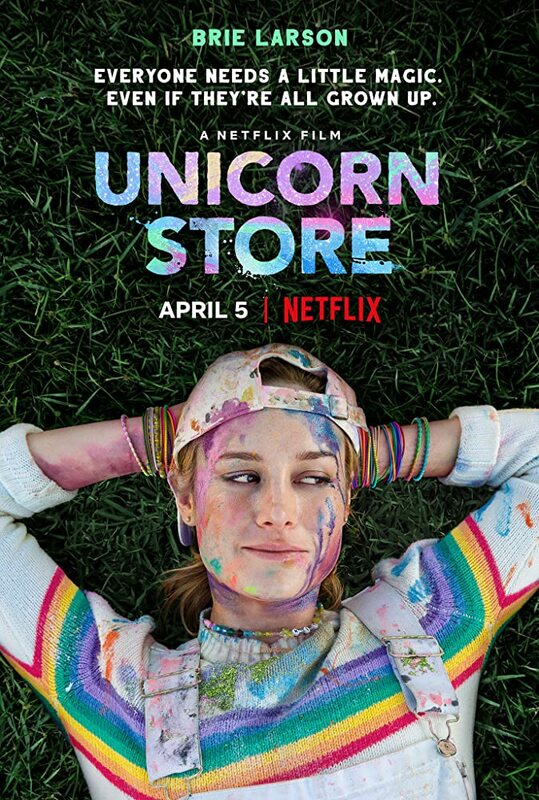 That seems to be one of the messages behind the film "Unicorn Store" (2019). When the movie begins, Kit is an optimistic, wide-eyed dreamer and artist. Her clothes are vivid and eccentric, her room is adorned with stuffed animals, she doesn't like vegetables or coffee, etc. It first appears that the film is trying a little too hard to be quirky, like it's saying, "look at this unusual, out of touch young woman with paint all over her face and glitter in her veins, what does she really know about life?" When Kit decides to join the workforce and become an "adult," she gets a job as a temp and adorns gray dresses and suits, putting away all her paints and glitters and stuffed animals in favor of drabness and mundanity. Her mannerisms look fake and forced as she tries to suppress the joy and wonder that used to fill her soul as she now fills her days with something else: being a bland automaton, literally copying her way through life one page at a time. Brie Larson exaggerates the phony, stiff nature of these characteristics that, again, may seem to some like it's only quirk for quirk's sake, but as the film moves along its runtime, it has a point in the bigger picture. 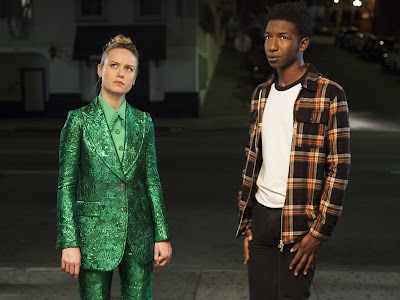 After getting an invitation from The Salesman, we start to see Brie's acting gradually become more natural as her character starts to revert into what and who she was always supposed to be by letting her sparkly, shimmery, energetic freak flag fly. Larson gives an excellent performance overall, as does the terrific Samuel L. Jackson, the supportive Mamoudou Athie (as Virgil, Kit's friend/unicorn stable building friend), and the criminally underappreciated Joan Cusack and Bradley Whitford (as Gladys and Gene, Kit's disapproving parents). 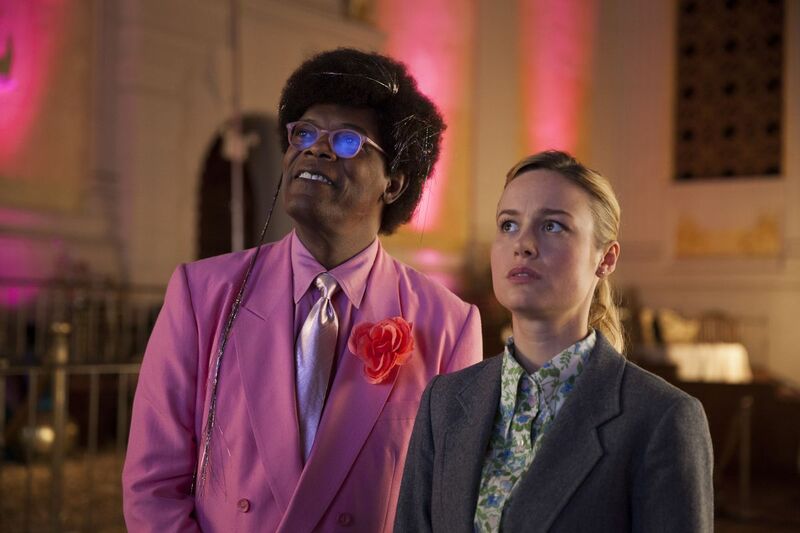 The ultimate message in "Unicorn Store" (2019) is not a revolutionary one. Hollywood is full of dreamers and artists who have made it work, but it's still good to hear it in such a touching, identifiable way. So often in life, we are busy trying to be who we think we are expected to be that we actually forget who we are in the process. This movie manages to tell that story in what is a wonderfully weird and engaging manner, contrasting the whimsy of dreams with the frequently dull reality of life. 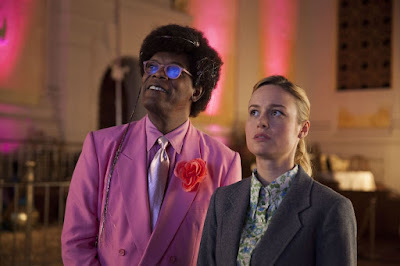 Though flawed in some aspects, we found "Unicorn Store" (2019) to be a solid offering from first-time director Brie Larson, who not only makes it work behind the camera but in front of it, too. Though her directing style isn't all that unique (yet! ), McIntyre's script is, and we wound up enjoying the final product. It spoke to me in a way that a movie hasn't spoken to me in a long, long time, especially as someone who loves unicorns and glitter and sparkly things and has been called "weird" regularly throughout her life. I wanna see this! What an insightful review. And there are so many of us who are called weird, or who consider ourselves weird.... wouldn't that make us 'normal' and the others weird?